Every year, the Alaska Air Carriers Association nominates pilots from around the state for their contributions to Alaskan aviation. Only a handful of people are selected to receive this prestigious award and be named one of Alaska’s Aviation Legends. We’re pleased to announce that founder and CEO Jim Rowe was honored with a 2015 Alaska Aviation Legends Award for his many years of service, from connecting rural villages and cities by aircraft to participating in Bering Sea rescues and late night medevac flights. Aviators are recognized during the annual Alaska Aviation Legends & Medallion Foundation Safety Award banquet, which was held on November 6, 2015 at the Marriott Hotel in Anchorage. Recipients are first nominated by an advisory committee and a group of living legends, then chosen by the previous year’s winners. Awardees are presented with a wood and brass plaque as well as two tickets to the annual banquet. The project was established to honor the living men and women of Alaskan aviation for their contributions to our way of life and for making our great state more accessible to all. Each year, the organization celebrates their stories by reliving each aviator’s unique experiences through their own words and images. Alaska’s “bush pilots” truly embody our living history. Jim Rowe first soloed in Harbor Springs, Michigan in 1968. Having arrived in Nome, Alaska in the spring of 1974 aboard a Cessna 195, Jim instantly knew he had found his real home. It wasn’t long before he took his first Alaskan flying job. That November, he returned to Michigan to marry Christine, and after a brief honeymoon, the newlyweds settled down in their shack on the beach in Nome. Founded in September 1979, Bering Air is an FAA-certified U.S. regional air service headquartered in Nome, with hubs in Kotzebue and Unalakleet. We serve 32 communities along the northwest coast of Alaska, providing scheduled passenger and cargo flights seven days a week. Our wide variety of aircraft is also available for charter anywhere in Alaska, Canada, the lower 48 United States, and the Russian Far East. We currently have nearly 100 employees, several of whom have been with us since the beginning. Thanks to our many dedicated staff and friends, we have been able to operate a well-maintained fleet of aircraft alongside the best professionals in the industry. Explore more of our history here. 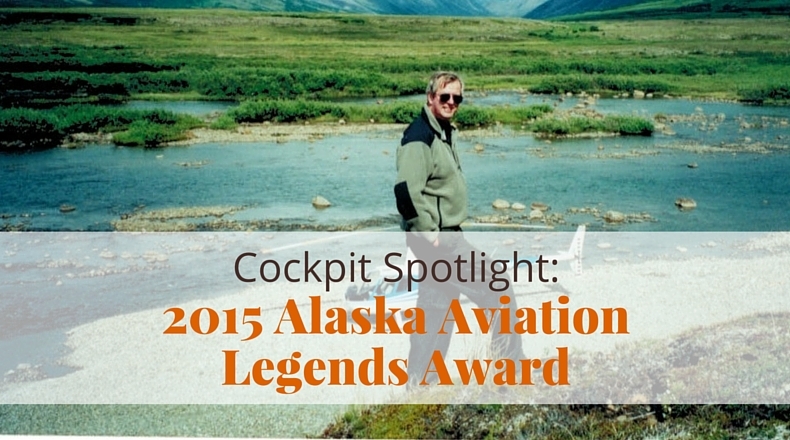 Click here to read the true stories of the 2015 Alaska Aviation Legends. We’d love to know: how has your flying with us been over the years? Share your thoughts with the community in the comments!